1. Add the product to the cart and click on top cart icon to checkout. 2. Carefully enter your coupon code in "Use Coupon Code" input field and then click "apply coupon" button. 3. Proceed to checkout by clicking "Checkout" button. Select a sunny, well-drained, compost-rich location. Plant tubers about 2 inches deep and 4 inches apart with the little legs pointing down. Keep soil moist but not wet. 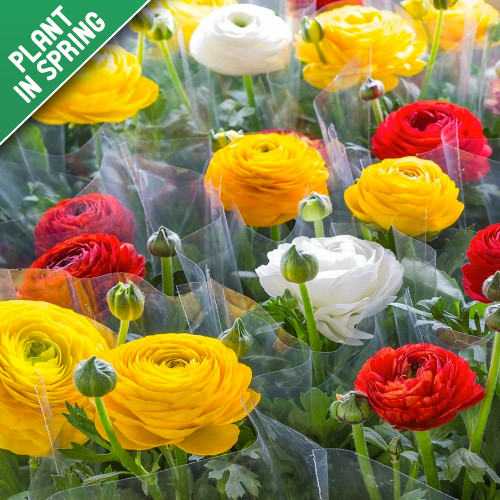 Persian Double Buttercups is a bulb mix of brightly colored double flowering Persian Buttercups. 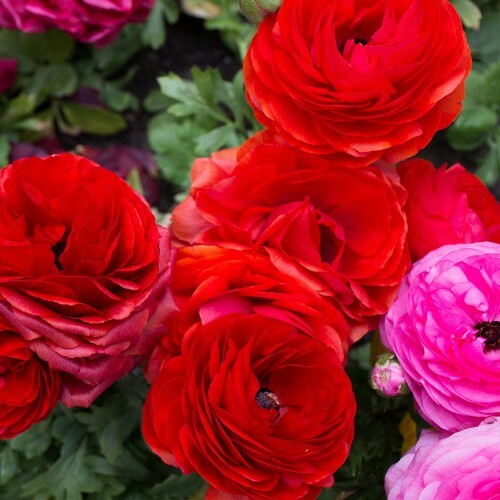 Prolific bloomers, each plant produces dozens of flowers ideal for borders and cuttings. Persian Buttercup bulbs are sun loving producing magnificent, rose-like flowers that are gorgeous both in the garden and cut for bouquets. 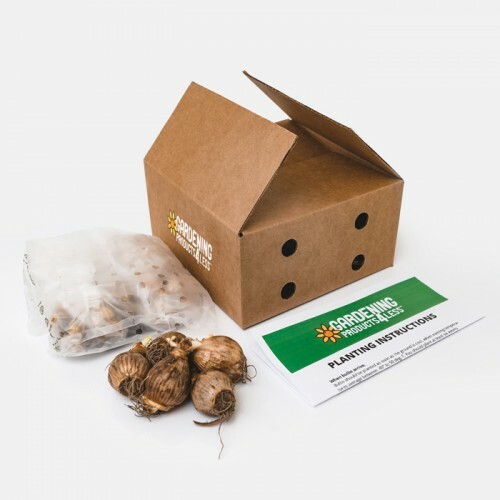 Quick to bloom and easy-to-grow in compost enriched soils.